View More In Rice Cookers. A meal for you or a meal for two? It's minimalist. It's mini. It's mi. Have a meal with mi or invite a friend. 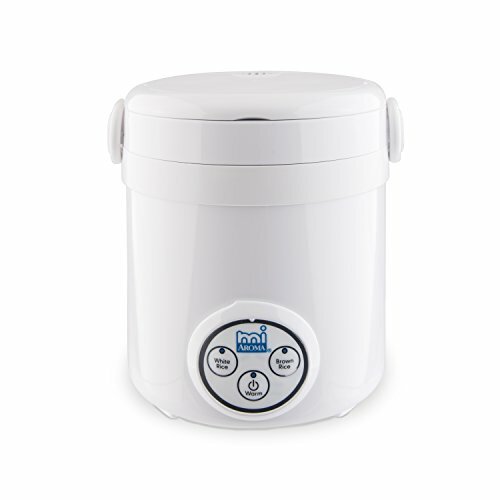 mi AROMA mini rice cooker makes more than rice with digital controls of White and Brown Rice for precise and delicious results. It also makes cake, soup, pasta, omelettes and so much more with just the right recipes! It's mini, portable, quick and compact. If you're like mi you take care of yourself. Whether it’s soup when you're sick, dessert when you're in love or anything in-between. With mi, the focus is on you.